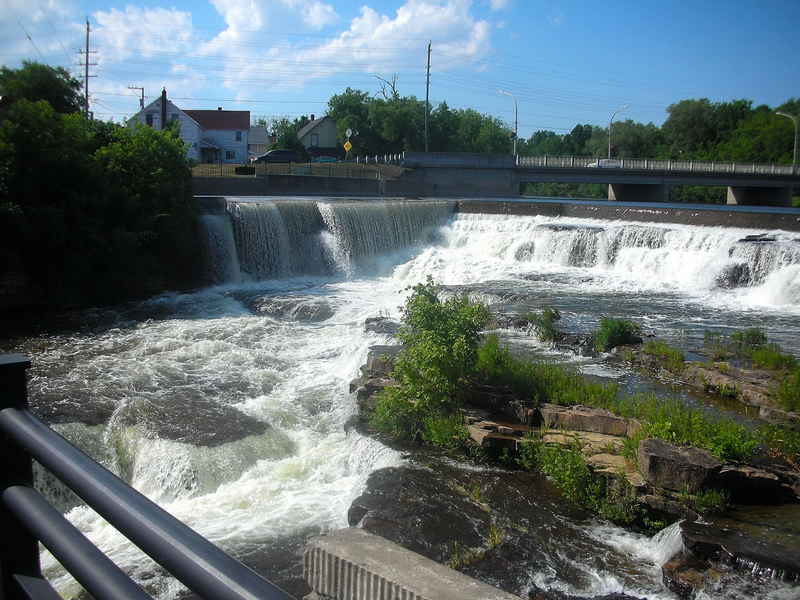 It’s almost impossible to watch the surging, rushing waters of the Mississippi in Almonte without recalling the early mills and how they were powered by this river. In 1820 Scottish immigrants, mostly from Paisley and Glasgow, many weavers by trade, began to settle in the area. It wasn’t long before the combination of the legendary Scottish engineering skills and generations of weaving expertise paved the way for a booming textile industry in Almonte. At the height of production, there were seven woolen mills operating and the town became known as “The Manchester of North America”. The mills provided employment for many of the town’s residents and generations of families benefitted financially from the work which was powered by this mighty river. Although the last mill in operation, the Rosamond Woolen Company closed its doors in the 1980s, the river courses on, forceful as ever, as we walk along historic Mill Street. The Mississippi still propels itself with the same intensity as it rushes through the town, magnificent, cool, a welcome presence on a hot July afternoon. This entry was posted in Short Stories and tagged Almonte, lanark county, Mississippi. I’ve been enjoying your daily blogs, Arlene. We can all probably remember collecting wildflower bouquets for Mother. I enjoyed the photo and write up on Lanark. All of your photos are great. I’m also enjoying your quotes.We had friends over for a BBQ on the weekend and one of the females asked if my potato salad was from “the book” . I said ‘no’ as I usually do my own thing. My salad has shredded carrots rather than radishes which Mother used. I do not make her dressing recipe but mix cole slaw dressing and Hellmann’s mayonnaise. Of course the conversation focused on your boojk and the great recipe collection. Some of them have made some of the recipes! Keep up the great work. I’m glad that you’re enjoying the blog. I was also pleased to hear that your girlfriend is enjoying her copy of ‘Recipes and Recollections’. Mother’s potato salad was probably one of her recipes that was most in demand all summer long. It’s a winning combination made along with her recipe for homemade salad dressing.